Likely none of you will need to be made aware of just how important links – both inbound and outbound – are for the functionality of your website and the overall vitality of your online presence. In particular, link building is an integral part of effective SEO and there are a whole host of other reasons why you want to make sure your links continue to serve their internally or externally-oriented purposes. Unfortunately, it’s not a ‘set it-and-forget it’ process, as links that were once active can be made inactive and many times you won’t become aware of that until valuable ‘downtime’ has passed. Here at 4GoodHosting, a part of what makes up a quality Canadian web hosting provider is the fact that we take a genuine interest in your well being out there on the Information Superhighway. 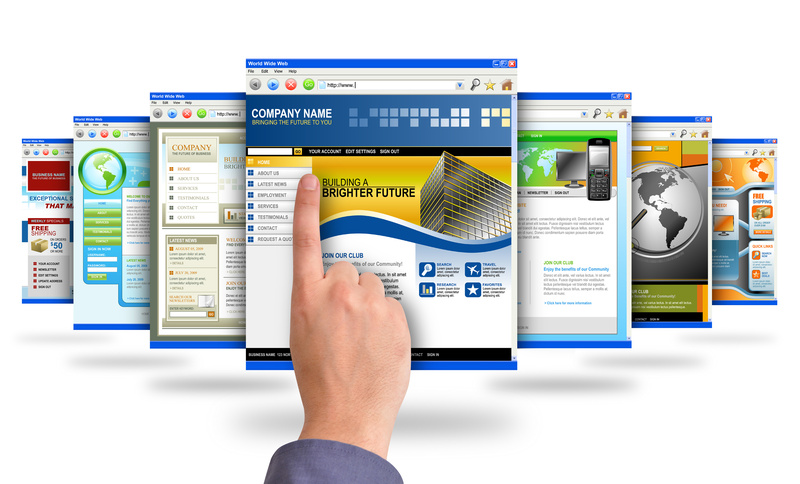 We imagine any information that’s especially helpful for optimizing your website is going to be welcome, so here goes. Let’s start with a reminder that the web is named as such because of the ability of pages and sites to link to other sources and relevant information. A broken link is defined as ‘a hyperlink which is linked to an empty or non-existent external webpage’, and some people will refer to them as dead links. Most commonly when a link is broken you will receive a 404-page error instead, with the page telling you that the webpage or file you are looking for is not available. Websites that neglect to address broken links for a long time will suffer from ‘link rot’ – a term used to describe sites with many broken links. Broken links can be the result of many causes. Sometimes the fault is on the webmaster, and other times they are the fault of the site a link ‘points’ to. Your intended link destination is located behind a firewall that prevents access to the content, or a ‘paywall’ that requires subscription of some sort to move further. Understanding what causes broken links makes you less likely to make those mistakes in the first place. By reducing the chances of your link breaking from the outset, you are minimizing the likelihood that they will be detrimental to your website in the future. Yes, a few broken links aren’t going to crush your SEO efforts, but they certainly aren’t going to help either. Search engines look very unfavourably on broken links. If you are linking to a page within your site and that link is broken, those search engine spiders are going to have trouble finding it. When they come across that ‘page not found 404 error’, they’re not going to be displeased with your site. That and any successive pages that are not crawled do not get indexed. Pages that aren’t indexed will not receive a ranking, and surely you can see where this is going. Not good. Another way broken links harm your search engine optimization is related to how long visitors stay on your site. If they encounter broken links they are likely going to look elsewhere for the information they need. After all, they can’t find it on your site, and pages with high bounce rates don’t rank well. Enough said – broken links are decidedly detrimental for SEO. Users are easily frustrated. If pages don’t load fast enough they leave. If there are too many advertisements, they split. If there is a paywall, they turn around right quick. Broken links are a surefire way to frustrate your visitors and prompt them to leave. Again, enough said. Relatedly, when a visitor encounters a website that is full of broken links, they will simply avoid it in the future. They won’t trust that site to provide the information they need, and if that’s you then your reputation is pretty much permanently in the mud. The magnitude of this potentiality is made even bigger when you consider that a recent study that showed 44% of people are inclined to inform their friends of unpleasant or time-wasting experiences online, and when it comes to e-commerce in particular another 79% of shoppers who are dissatisfied with a website’s performance are less likely to buy from that site again. It’s recommended that you check for broken links on a monthly basis, if not more often even. Those of you actively building your site and its reach are going to want to check more frequently. As broken links are a problem for webmasters and businesses, there are a number of different tools available to check for them. Some are free, others are not. Open this tool click on Search Traffic in the right-hand menu and then Internal Links. If you are missing an important page, or the number of links looks off, it could be due to a broken link. Next, click on Crawl -> Crawl Errors. Scroll to “Not Found” Section. You’ll receive a report of all the missing pages on your site with both internal and external links pointing to them. Xenu is also a good choice for finding broken links, and it is also free. Since its primary focus is looking for broken links, it is also much easier to use and provides you with a complete report about the links on your site. Start by opening Xenu and clicking File and then Check URL. The following window will open for you and you’ll then be prompted to enter the URL of the page you wish to check. You also have the option of only checking for internal links that are broken. To do this, uncheck the Check external links box. Once you run the tool, you get a report of the links it has found and their current status. Xenu also allows you to export the report, build sitemaps and perform some other tasks. You can also check local files before you upload your code to the web, and examine a list of URLs for checking your entire site at once. 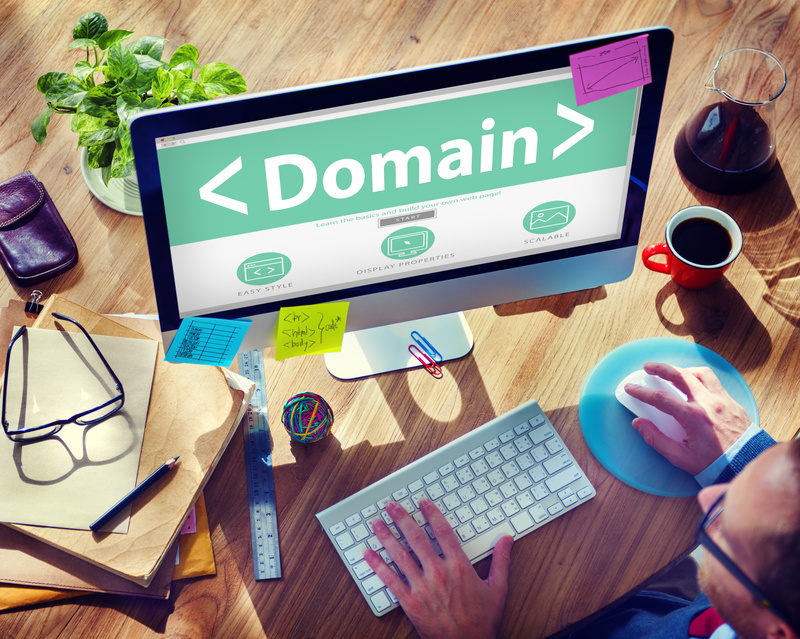 Domain Hunter Plus is actually a Google Chrome extension. This allows you to analyze any current location page for the presence of broken links. Once you add the extension you will see a small green target on your browser. Navigate to the page you wish to check and click on the target. It will run a check on that page and provide you with a report of all the broken links it finds. You then have the option of exporting this report to refer to later. Now that you have found the broken links on your website, you ought to start repairing them. Did you mistype or mis-copy the URL? If so, make certain you type it in correctly this time. Did you rename or move a page? The link will need to reflect the change. The process for repairing external links tends to be a little more intensive. If the site you were linking to is gone, you will need to find another destination or remove the link altogether. If the link was to content that supported a claim or statement, it’s important to find another resource so you keep your credibility intact. If the links pointing to your site are broken, you will lose any SEO benefit you would otherwise be enjoying, and most notably improved rankings in the search engines and more visitors to your site. Keep track of any links you earned through guest posting or other link building strategies and audit these links from time to time to ensure that they are still working. When you find broken links, reach out to the site owner and ask them to fix them. These backlink checkers are paid tools, but most offer free trials to help you decide if they will be beneficial for your website. Often they’re a smart investment, particularly if you’re in e-commerce. A month or so back we follow the lead of nearly everyone in the digital world by discussing the Bitcoin phenomenon. Since then the rabidness of interest in Bitcoin has waned somewhat, and while that’s to be expected it is still is a representation of the new frontier of digital currencies and still a worthy topic of discussion. Yes, it’s not going to be the ‘get-rich-quick’ investment opportunity many thought it would be, but it’s safe to assume that it will be a legitimate player in the e-commerce world eventually. Here at 4GoodHosting, we follow the lead of any good Canadian web hosting provider by keeping our customers up to date on trends that will be of interest to them. It’s safe for us to assume that many of you will have an interest in the development of cryptocurrencies, and some still may want to actually get off the sidelines and get into the game. So, for those of you who are interested in ‘mining’ bitcoin as the verb goes, let’s discuss exactly what you’ll need to do. This is an easy to follow, step-by-step tutorial to get you started with 5 steps; choosing your mining software, acquiring a Bitcoin wallet, getting in on a Bitcoin mining pool, purchasing with your Bitcoin, and then verifying Bitcoin transactions. What Kind of ‘Mining’ is This? Bitcoin mining involves a software process where Bitcoin is earned depending on what you do. It’s referred to as ‘mining’ because the process associated with acquiring it is quite similar – figuratively – to what you’d do to try and find gold or another precious metal in the earth. Sometimes you dig or pan in the right place, most of the time you don’t. First and foremost you need to understand that you exchange processing power for this cryptocurrency. Your computer is used to mine Bitcoins, but understand that there are a limited number of Bitcoins available to be mined. Of a total of 21 million bitcoins, it’s currently estimated that there are a little over 4 million left to be claimed. Yes, the early birds have got most of the worms. Your mined bitcoins are then generated into circulation using the proper software (we’ll touch on this shortly), which works to solve difficult math problems that would be indecipherable for 99% of us. When problems are successfully solved, the ‘miner’ receives new Bitcoins. This process also verifies transactions. GUIMiner: GUIMiner is a GPU and CPU mining tool that lets users to work independently and pool mining through a simple graphic interface. It’s solid with both AMD and NVIDIA GPUs (graphics processing units) and works on Windows platforms. CGMiner: CGMiner is an open source ASIC/FGPA cross-platform software, meaning that it works on Linux, Windows, OSX, and other platforms. CGMiner is categorized as a command line software, meaning it doesn’t have a graphics interface. 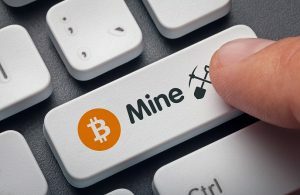 BFGMiner: BFGMiner is especially popular as an open source command-line software program that lets you mine Bitcoin on any platform. Attractive features include dynamic clocking, monitoring, and remote interface capabilities. Ok, now you’ve got your ‘miner’ on board. What next? Bitcoin miners will need a bitcoin wallet to store all of your coins that you earn. Your wallet will have its own address, and that address is yours exclusively. Payments are also directed to your wallet. That bitcoin wallet will have a public address you can pass along to anyone who wants to direct a payment to you. If you’re more the type to be regularly cashing out or making payments, you’ll be best served by desktop software that keeps your Bitcoin funds stored on your computer. Be aware though that you should use this type of wallet via a computer that is offline exclusively. If not, you risk losing money if someone hacks into your software. We like Electrum, one of the most popular solutions and compatible with virtually every desktop OS. Ok, you’re set up with your virtual wallet. Working solo is best if you’re aiming to be profitable with your Bitcoins. However, it will require some serious hardware resources. Anyone not ready to spend a few thousand bucks or more on powerful mining hardware will need to join a mining pool. They allow multiple miners to consolidate their processing power and generate blocks to earn Bitcoin together. The profits are then split based on how much of your processing power you’ve contributed. You can join a mining pool by choosing one, creating a user profile, dedicating a worker, and then adding your Bitcoin Wallet’s public address so you’re set up to receive funds when the profits are divided and paid out. Inform yourself about all the possible options and pick the one that best suits your needs. If you think you want to go solo to earn more Bitcoin than you would collectively in a mining pool, you’re going to have some extensive hardware outlay costs as we’ve mentioned. So what about actually buying products with Bitcoin? The number of companies around the world accepting Bitcoin for products and services is growing every day, and here’s how you can purchase from them with Bitcoin. Debit Cards: Funding your debit card using the Bitcoins from your Wallet is now possible and is the most flexible way of making payments, withdrawing cash from ATMs, and sending payments to another account. There will be fees however, and some services insist that you convert your Bitcoins to a flat currency before making payments. This process can result in certain payments ending up being more expensive, but that’s the price you pay for the convenience of it. And it is very convenient! Gift Cards: Bitcoin can be used to buy gift cards from certain stores. The main benefit of gift cards here is that most businesses offer discounts attached to them. Yes, you can buy gift cards for birthdays, Christmas, etc. and pay for them with gift cards. Online Shopping: Your Bitcoins can be used to buy directly products from online retailers who accept them. The numbers of those retailers are growing rapidly. That’s pretty much it. If we’ve peaked your interest in mining Bitcoins then we’re happy to have helped you with the discovery and we wish you well with your mining. As we move into 2018, web app frameworks continue be the figurative utility knives for web developers, buoyed in large part by the fact that ever increasing facets of our lives are tied into the digital world and we need devices and apps that allow us to manage them effectively. They are essential for the development of different web applications like web resources, web APIs, and web services, and can serve to relieve some the extraneous tasks by – among other benefits – promoting the reuse of code, a HUGE plus for developers for whom time is a precious commodity. Here at 4GoodHosting, we’re a leading Canadian web hosting provider who – not surprisingly – strives to have our thumb on the pulse on trends in the web development world given the fact a great many of our customers are also the ones getting their hardhat on when it comes to building and maintaining websites. Java continues to be one of – if not the – construction platforms of choice for web development, and we thought it would be helpful to this week have a look at some of the better Java web frameworks that are ideally lined up with what web apps are going to need to offer in the coming year. JSF is a net utility framework of Java, and it benefits greatly by being supported by Oracle. While it’s not the most ideal framework for Java development, it is easy to put to work because of documentation supplied by Oracle. Further, if EE environment Java is what you’re after then there will be no extra dependency on JSF. It enables a number of quality tools and rich libraries for expanding upon the complexity of an application. JSF uses server pages of Java and can support different technologies of Facelets and XUL. As its name might suggest, Struts is a framework designed for building the base of a web application. It is a set of interfaces and classes that work in conjunction for overcoming particular common hurdles when laying down the foundation of an app. It functions on an MVC (model-view controller) pattern. Struts also sports a net framework for numerous Java applications, and it has been strengthened by contributions from various supporting communities. In particular, it gets high marks for creating dynamic responses. Efficient with promoting internal organization architecture that allows better control and building of MVC-based applications. The Spring MVC framework is designed to be a layered J2EE/Java framework that easily integrates specially applied sciences. It is a good fit for a broad range of ingenuities. Following design and expansion, Spring MVC introduced a number of changes to become a full-scale framework Java for Internet applications. First in line with its advantages is a useful toolkit for development and configuration of web applications, and it’s a good choice for security projects too. Spring is highly regarded among programmers for its thoroughly developed ecosystem. It has numerous add-ons, such as SOAP services, REST APIs, and security authentication. Many of you in the know reading this might have been wondering when Hibernate was going to make its appearance in the list. It is one the best Java web frameworks, essential being an object-relation mapping device for programming language within Java. It provides a mapping framework for a domain model (object-oriented) to one relational database. Hibernate can deliver solutions to object-relational impedance incongruity problems, doing so by substituting persistent and direct databases with high-level object controlling functions. In addition, the fact it is a free software distributed under public 2.1 License of GNU Lesser General is a big plus too. 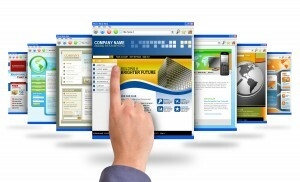 The application is licensed under the Apache License 2.0 version, and Google Web ToolKit puts focus on reusable approaches to tasks that are common to web development, including cross-browser portability, internationalization, UI abstraction, bookmarking, history management, remote procedure calls and asynchronous operations. Nothing’s better than when work is play, and while this framework doesn’t make development QUITE so enjoyable, it’s still pretty darn good. Play! framework makes it easy for you to build web applications with Scala and Java, being based on stateless, web-friendly and lightweight architecture. It is built on Akka and provides minimal and predictable resource consumption (threads, memory, & CPU) for highly-scalable applications. The Play framework is especially friendly for developers needing to make changes to text editor and browser. It utilizes a fully asynchronous model designed to go along with Akka. Also, while being stateless it still scales predictably, and is a nice match for the needs of modern mobile and web applications. Grails gets the final nod on our list here today, being another useful Java Web Frameworks that excels with giving you the ability to multiply productivity towards convention-over-configuration, opinionated APIs, and sensible defaults. It assimilates smoothly with JVM (Java Virtual Machine) and gives you much more in the way of productivity while also providing powerful features like asynchronous programming, compiling time meta-programming, and working with run-time and domain-specific languages. You can also interact and integrate with Java, Java EE containers, and JVM seamlessly. Some of you may already be aware, but we figure it’s likely best to still put this piece of news out there. 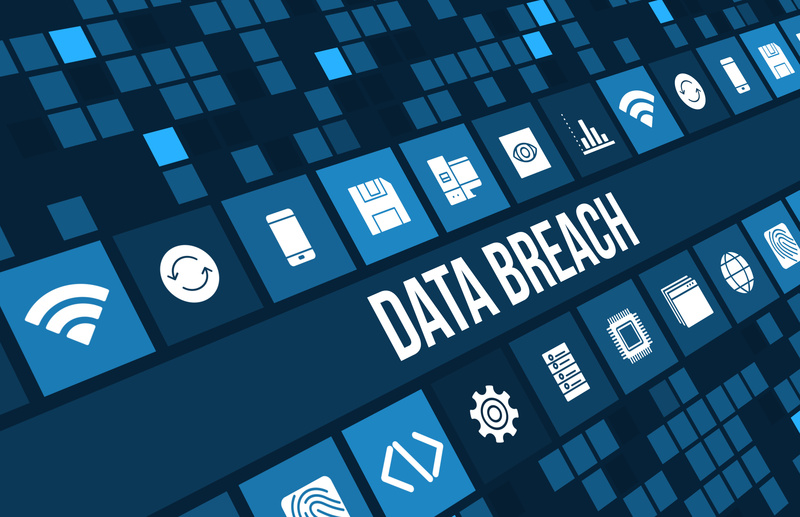 Arguably the largest security breaches ever affecting electronic devices were reported last week, on Jan. 2nd. Labeled as Meltdown and Spectre, these similar but slightly different security loopholes take advantage of security vulnerabilities in CPUs (central processing units) with hackers becoming allowed to access systems and read / copy highly-sensitive and private data, like passwords and more. Here at 4GoodHosting, we believe that part of what makes us a premier Canadian web hosting provider is the level of accountability we have towards the wellbeing of our customers in as far as their online interests are concerned. That said, we understand that each of you are also everyday people using digital technologies to make your life better just like anyone else and so we make an effort to share information like this with you. It seems that the consensus among web security experts is that these 2 security flaws are encompassing a new realm in security flaws, and may be indicative of worse things to come in the future. That’s not really cause for more concern than necessary, however, as the struggle between hackers and those charges with implementing effective protective measures has been going on for decades now. It’s jus that it may mean a need to dig a little deeper in the pushback this time. Let’s get into the specifics of Meltdown and Spectre. We’ll start by saying that as of 3 days ago there are no reported cases of this vulnerability being exploited on a large scale. To put it simply, meltdown is a hole in programming that allows unauthorized access to the memory of an operating system like Windows, iOS, macOS, Linux etc., as well as the programs that run on it. History, passwords and other sensitive information can be accessed and taken. Spectre makes it possible for hackers to pass through the security walls separating different applications. The most pressing concern here is that the greater number of security measures in place, the greater amount of potential access points there are. This equation makes it a much more difficult problem to address effectively. It’s a fact that the majority of personal computing devices run on Intel or AMD processors This includes your smartphone in the same way it does you computer or tablet. At present, patches are being created (or have already been put into place). Apple has offered up patches for iOS 11.2, and macOS 10.32.2 to protect against Meltdown. An effective Safari patch is apparently on its way in the coming days. Amazon is keeping pace, having already released the Meltdown patch for its AWS cloud computing services, which brings up another issue that should be seriously concerning – many are finding that these patches seem to cut processing speed. Most of you are going to be displeased at the prospect of slower performance by 5% to 30% for certain tasks across patched devices and programs, and that’s what we’re being told to expect by more than few reputable sources. Of course, all of this is conjecture at this point. Making sure that you enable system updates on your devices and for all installed programs, even if that means checking any programs that do not feature the ability to enable auto-updates. Plus, check for updates daily over the next month or so. Enable two-factor authentications (2FA) whenever possible on your devices, plus for password protected application. Create new passwords immediately, and do so semi-regularly for the next 6 months. Password managers such as Lastpass can help make this much easier for you. Happy to make you aware if you weren’t already, and we hope the storm passed quickly as it usually does. Until then, onwards and upwards with the continued day-to-day we say. We’ll start this week as we should – by wishing you all a Happy New Year for 2018 and hoping that the coming year is a prosperous one. When it comes to Internet marketing there are a number of truths that don’t change in the slightest no matter which pair of digits are at the end of a calendar year. The importance of smart content marketing is most certainly one of them, and as such it makes for a good refresher topic for us to hit the ground running with as January arrives. Here at 4GoodHosting, we’re proud to be a top Canadian web hosting provider and we also enjoying seeing our valued customers have success with making themselves more visible to prospective customers of their own. It’s safe for us to assume that you’re already creating valuable content for your site, but are you doing so most effectively? 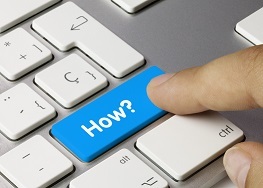 The aim is always to be nurturing the public with quality content – whether that’s with text, video or audio – in order to educate it, foster relationships and provide the types of necessary information that creates an informed consumer that will accredit a portion of their becoming informed to you on the way to becoming a loyal consumer. Here’s the consensus most impressive and recent statistics on content marketing that will give you even more motivation to revisit your content marketing strategy. Creating, writing, and maintaining a blog related to your website or e-commerce site is always going to be priority number one for anyone who wants to increase traffic, but without a good supply of content for the consumer and the ability to write (and produce) quality materials for readers is an absolute must. There’s 2 sides to this equation, the knowledge / insight AND the ability to share it in attractive, readable form. If you can cover both sides of it, great. If not, you need to connect with someone who can take care of that for you. That may become an expense, but it’s entirely worth it. Look no further for proof than a Hubspot survey showing that companies that publish at least 16 posts a month have 3 and a half times more traffic than those who post 4 times or less per month. Companies that put up 16 posts or more are also able to generate 4.5 more leads than those who serve up only between 4 and 6 posts. Looking at it elementally, a blog is intended to generate content that interests the public and is – ideally – then related to your market and products. You make the connection stylistically and indirectly, and writing skills do have a lot to do with that. With a good volume of traffic comes a greater number of visitors who have the makeup of potentially becoming a consumer. It’s also important to consider leads. Visitors who demonstrate a clear interest in what you have to offer through a registration are essential for any business. Being in possession of submitted contact information means you can keep in touch with that individual until the time is right for your business team to offer one of your products or services. And with continued quality content, you increase the chances of this even further. Bearing out that point – Survey information suggests that 47% of consumers only contact a sales representative after consuming between 3 and 5 brand content they are reviewing. We imagine there’s not even one business that doesn’t entertain hopes of being at the top of Google’s search pages. Not something easy to do, but content marketing is also a good tool to help you get as close to it as possible. Consider this. Do you make an online survey before making a big purchase? Right, we do too and nearly everyone does. When a brand is presented among the first results, they’re more likely to choose it. Having quality content that informs, helps, and educates the user is one of the most important requirements for Google to position your site highly and make you increasingly visible to prospective customers. Long story short – producing relevant content is the most effective tactic for making your site one of the highest ranked on Google. Video has emerged as a very interesting and potentially powerful content format for brands, and many companies and professionals are now giving it more focus when it comes to their content marketing strategies. Look no further than the ever growing popularity of product reviews on Youtube. It’s a fact that prospective buyers do put significant value on them, with a sort of ‘real person’ belief in what they’re seeing regarding the product and its quality and suitability. Content marketing has proven to be an effective way to convey information to the customer before he or she buys a product, and similar data is indicating that the income of companies that use videos can expand up to 49% faster than those who do not create content in this type of media. 48% of companies want to invest more in YouTube and 46% also have plans for videos on Facebook, the most popular social media network for consistent disposable income and specific buying prerogatives. Making your content marketing efforts more a priority is as good a new year’s resolution as any. We look forward to meeting all sorts of new customers throughout 2018, and never hesitate to be in touch regarding anything related to getting the most of out of your online presence.